Jacob Stanley and Benjamin Broadbent took over a small brick and tile works in Swan Lane during 1869. 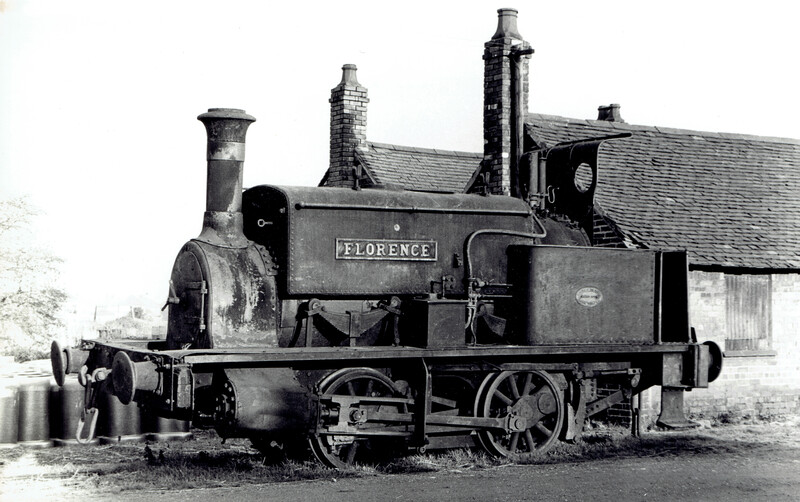 It was previously owned by Walter Handley, a local farmer and brick maker in Swan Lane (now Croft Road). Walter passed away 26th January 1864(1) and in his will the brick business went to his son-in-law David Wheway. David had been for a number of years in partnership with his Father-in-law. Unfortunately after four years of running the yard on his own he fell ill and died on the 14th April 1868 aged 71(2). Sarah Wheway his widow, some 9 years his junior, took control and had no inclination to carry on. The following year Broadbent & Stanley made the purchase. Sarah lived for a number of years in Wheat Street and saw out her years very comfortably. 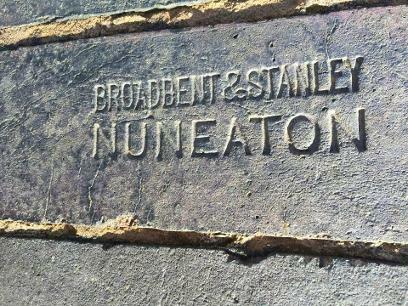 Nuneaton's brick making history had inducted the name Stanley into its hall of fame. Two examples of early Broadbent and Stanley brick's one on the right, is from Earl Shilton thanks to Sheryl Wrighting and on the left, is a coping brick on the tunnel at the bottom of Oaston Road. The brickyard seemed to have a curse on its owners, Benjamin was taken ill just a few months into the business. 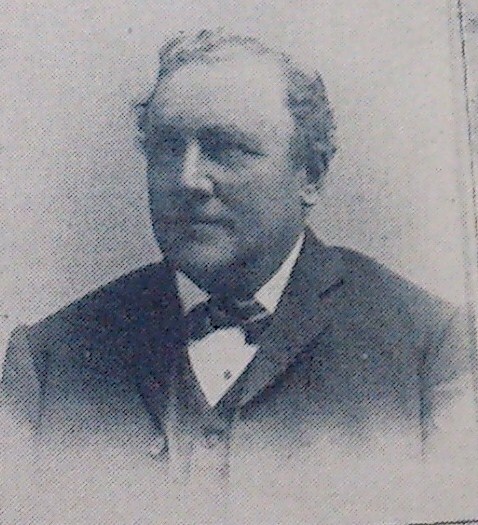 He took a step back from the running of the yard, keeping shares in the business and became a silent partner, passing away in 1887, just 47 years old. Reginald was looking to invest and after the Broadbent and Stanley partnership was dissolved in August 1871 (below) they became known as just Stanley Bros. Reginald started pumping his money into the brickyard to increase production. At that time housing and the building trade was at a high, bricks were at a premium and houses in big demand. Putting money into the business meant they would get a bigger share of the market. 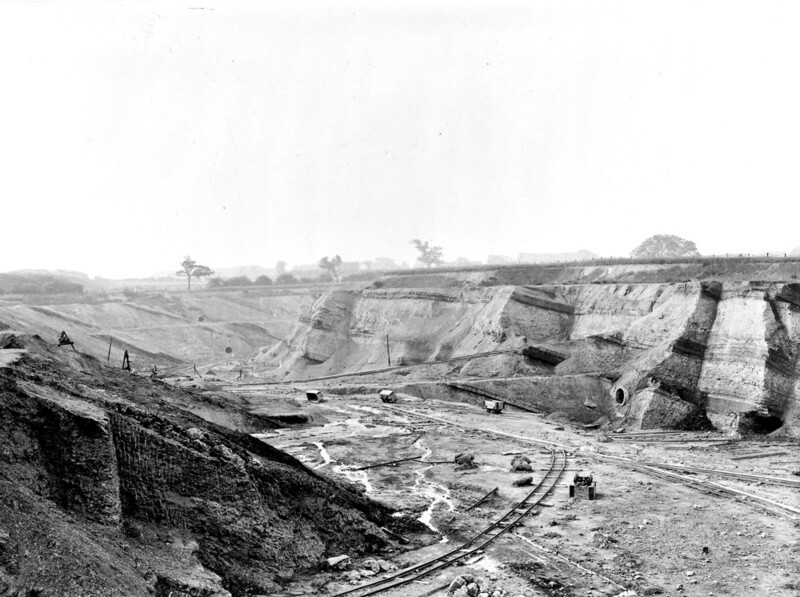 The Company was on the up, rising from 'a group of comparatively small brick-field's' to the 'present extensive works consisting of seven distinct yards, manufacturing almost every type of building material'. 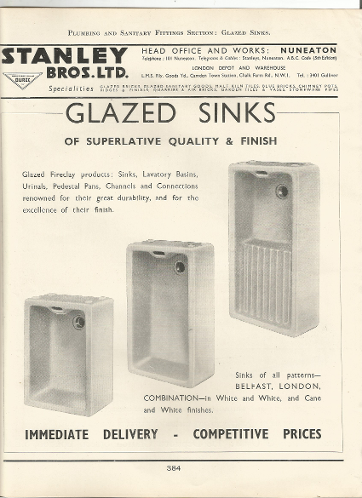 The previous was used to described Stanley Bros in their Sales Catalogue of the 1930's. 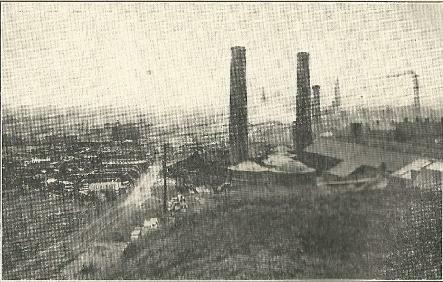 The company expanded to seven yards once the coal had dried up at Nuneaton Colliery in Whittleford. Each yard had their different uses and I've wrote a section on each one below. A brickyard wouldn't be complete without clay. Thankfully the land around the works on Croft Road had a superb supply of pink (terracotta), yellow and two different colours of grey clay to work with. 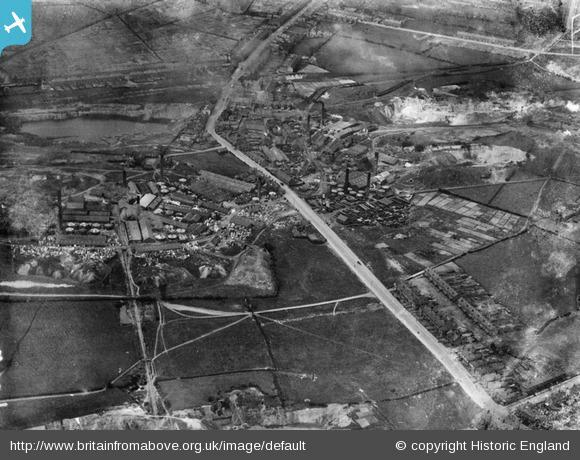 As you can see from the photo below there was a clay pit right behind the works. If you look closely (centre) two men are hard at work and on the left there is a pulley system to bring the clay back up to ground level. 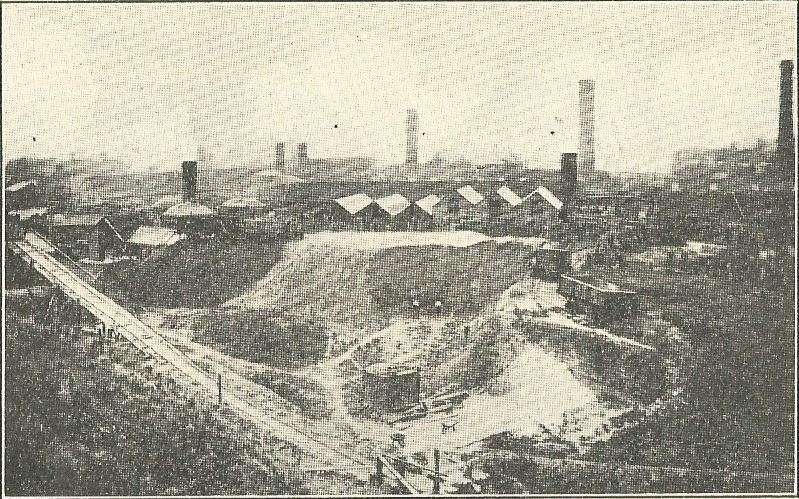 The closeness of the clay was noted in the prospectus 'the great variety and excellence of the Marl's and Clay's found in large quantities on both freehold and leasehold properties enable the firm to produce at these works almost every requisite for building operations, usually made from marl and clay.... The clay's lie near to the surface and as nearly the whole of the seams are found near the grinding mills, thus saving haulage, they are obtained at minimum of cost'. 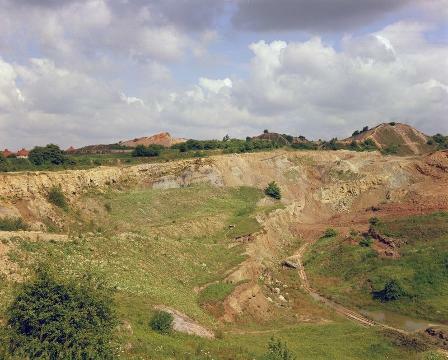 One of the clay pits serving No 1-2 brickyards. 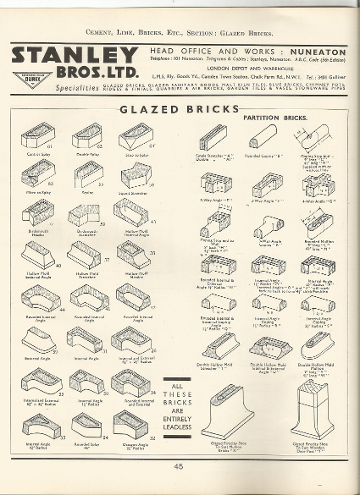 Stanley Bros was leading the way in brick manufacture. Reginald and his team where always trying to find new ways of making the job easier and most importantly make more money. 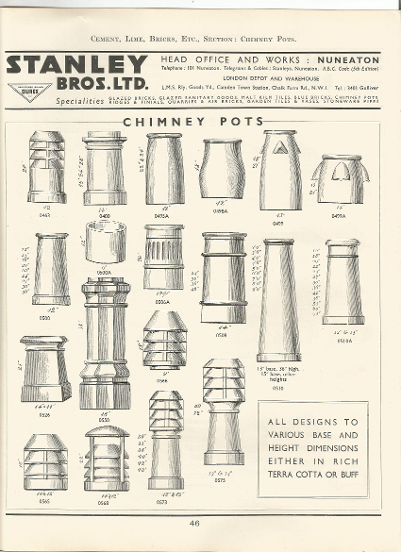 Along with Nuneaton Engineering Company (Stanley's other interest) they patented various brick, tiles, pipes and chimney pot's. In my files I have over fifteen different types of patents for improvement in design and the manufacture of these items along with one unusual patent for apparatus used in the game Ping Pong. By the end of the century the brick works had a massive portfolio of customers, topping nearly 4000 across the UK and Ireland. They had 145 acres of land, owning around 47 acres of it. 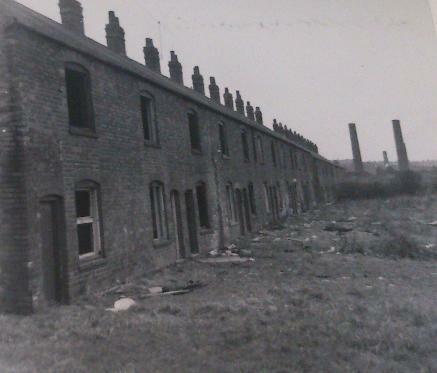 They rented out cottages to workers on both Westbury Road and Croft Road, they also had farmland covering any part that wasn't being 'worked'. 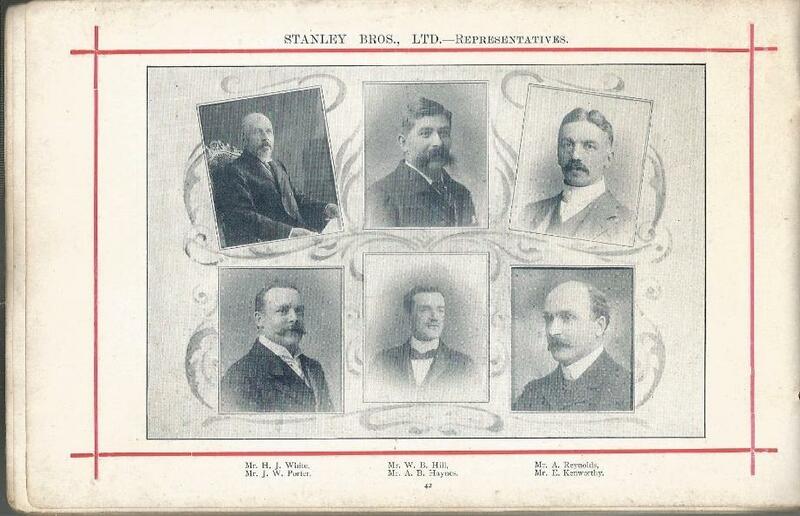 Stanley Bros products were known for their superior quality and great design. A page from the catalogue below shows just some of thousand odd items that could be ordered to 'enhance' the look of your home. Architects like Stanley's own FJ Yates made good use of their idea's. Marsdale on Manor Court Road, Nuns Croft on Earls Road and Manor Court, Stanley's home are great examples of designs. 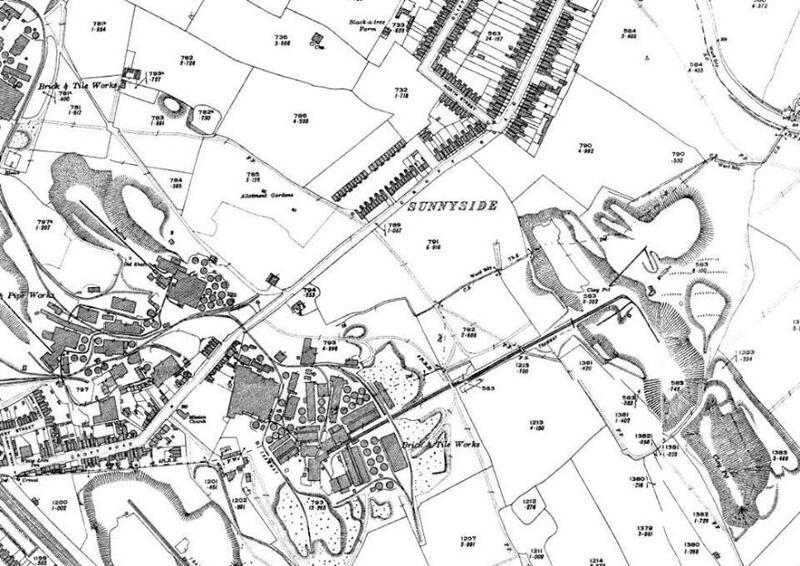 Also on the map below you can see two rows of cottages that were built for workers at the Brickyard, they have now been replaced with the Sunnyside Complex. Two of those cottages remain today (see a photo below) and were reported to be for the brickyard officials. They are fine examples and have plenty of decorative brick work, including terracotta barge boards with lions heads at the point of the roof. The wall outside is also a Stanley Bros product. 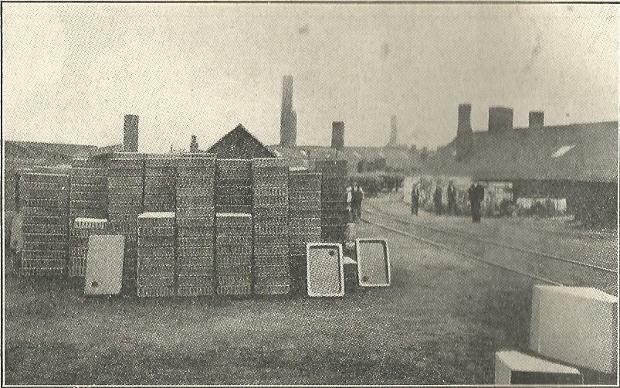 The 'Sunnyside' built for brickyard workers seen just before they were demolished. 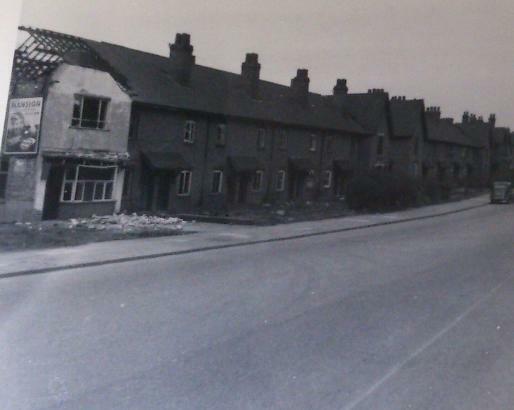 Its such a shame these houses were knocked down. A few people I have spoken to had fond memories of living there. The remaining pair of brickyard cottages of what was known as the Sunnyside. When you wander past next take a few minutes to look up at the detailed barge boards. 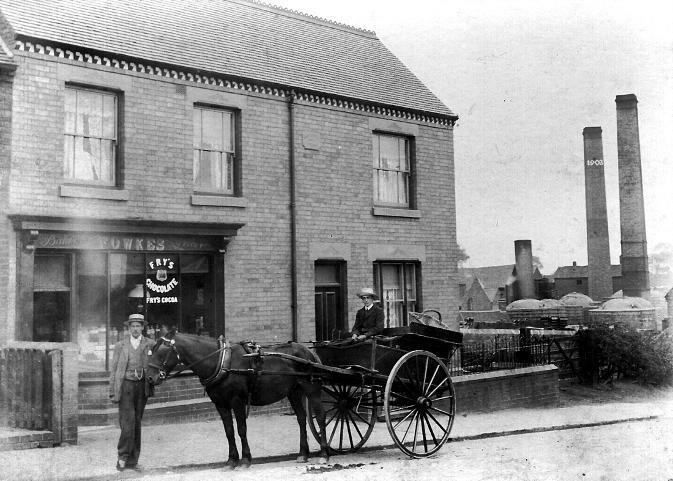 Thanks to an article in the Nuneaton Observer dated 7th august 1896, There is a extensive interview with Mr George Beck (below left), The Brick and Tile yard Manager and Engineer. Mr Beck showed the reporter around the companies extensive yard and his tour started at the offices, the hub of all the commercial activities. Each department had its own head and they were as below. There were around twenty clerks that worked under these men, along with the Traveller's (Sales Reps), Mr H J White, Mr W B Hill, Mr J W Porter, and Mr W Farndon. 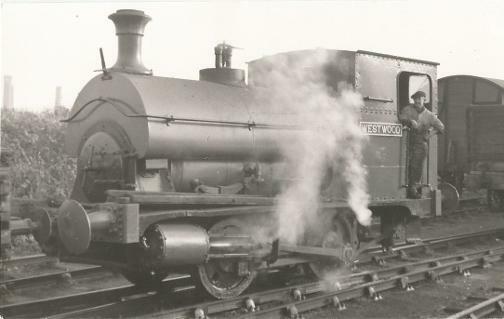 Locally was Mr Jessie White and covering the London depot was Mr A Reynolds. Below is a photo from the 1902 Coronation Booklet, it looks like Mr Kenworthy had moved positions from the Purchase Ledger to a Traveller between 1896 and 1902. Yards number one and two, were, for over hundred years a major landmark on Croft Road. 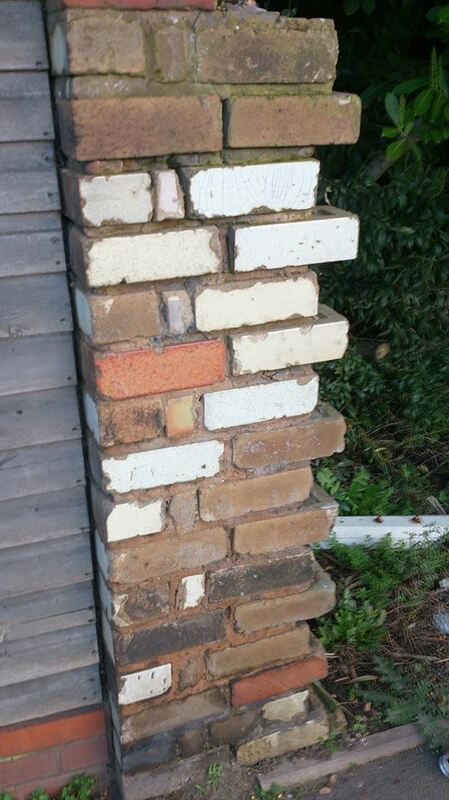 The entrance which is long gone with its patchwork glazed brick (see below) left passers by fascinated. 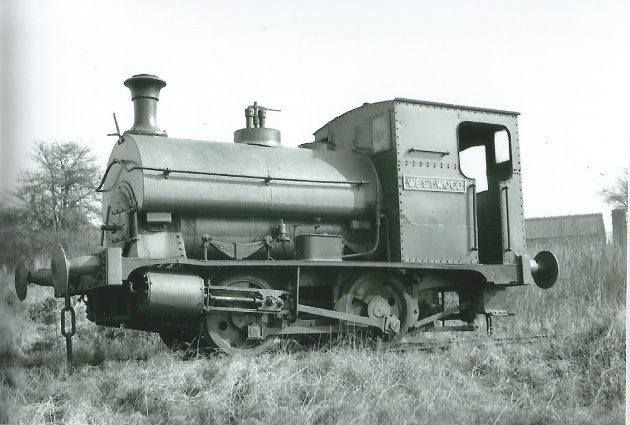 Along with it's visable brick kiln's and the loco's that were often seen moving various loads between yards (see section below with loco's). The number of the employees had been noted at 753 in 1911 all of which were male. This would have been spread across the five sites they had in Stockingford at the time. 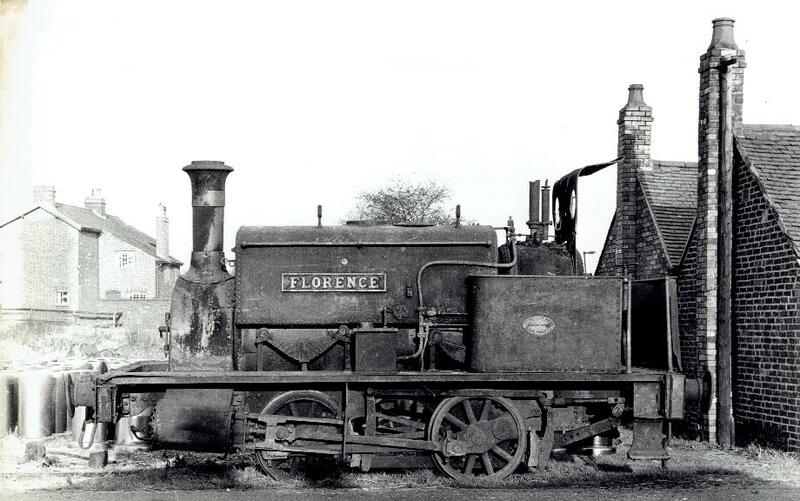 A wonderful photo showing the Fowkes family business and Stanley Bros' brick kiln's sneaking into the background. The two yards had close to thirty kilns dotted around the busy outbuildings in the early 1900's. 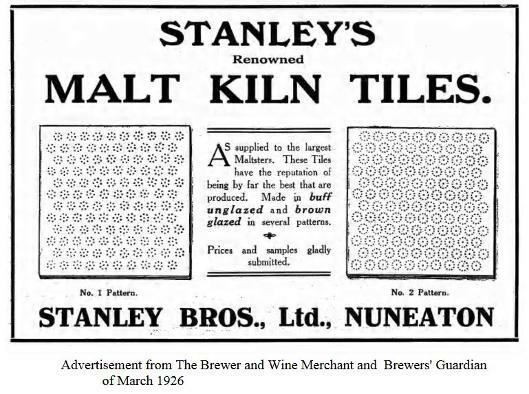 The amount of bricks and tiles that Stanley's were churning out during its hay day would have been staggering. 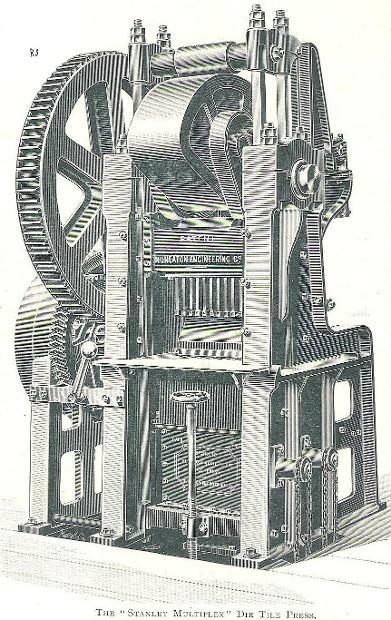 The Tile Press that was designed and built at Nuneaton Engineering, advised that on an average week 100,000 tiles could be produced on one machine. Reginald has invested heavily in his machines to increase output and keep up with the demand of the housing market. The clay holes were also given the most up to date treatment and George Beck the Brickyard Manager describes how they had introduced the new machinery to bring the clay back to the surface. Click on Georges name to read about it. 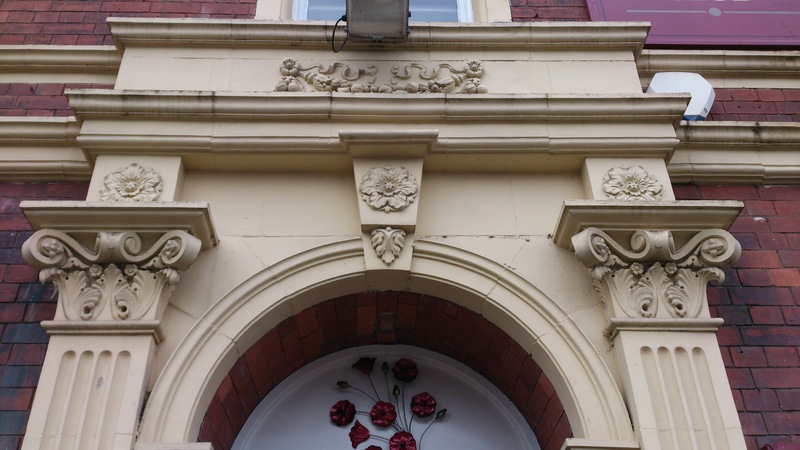 These yards also had the honour of designing and making those superbly made finials and elaborate brick designs seen on many Victorian houses. 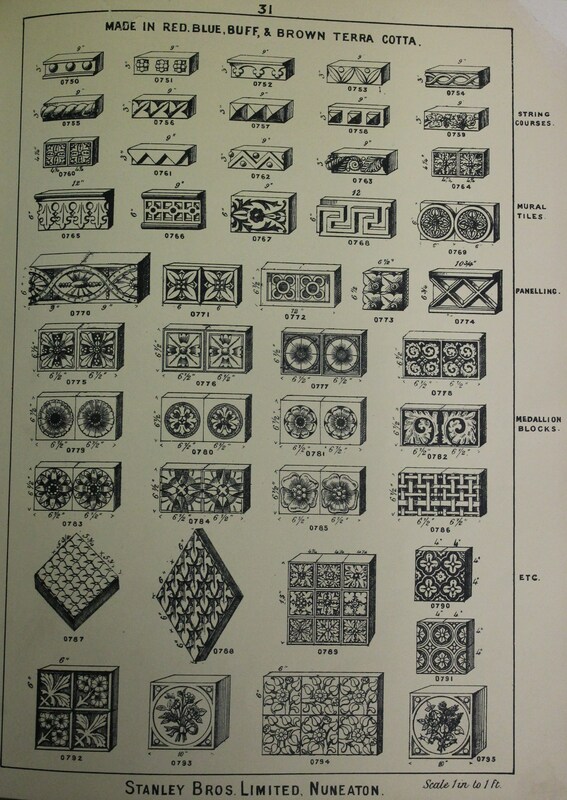 The photo's below are taken from the Stanley Bros Catalogue of 1930. It brilliantly shows number two yard, again on Croft Road. 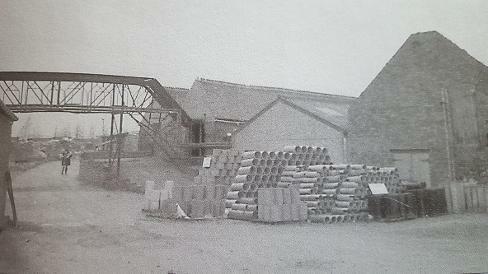 The stoneware factory and kilns are where Marsdale Drive is now, you can just make out on the left of the photo two piles of stoneware pipes ready for despatch. 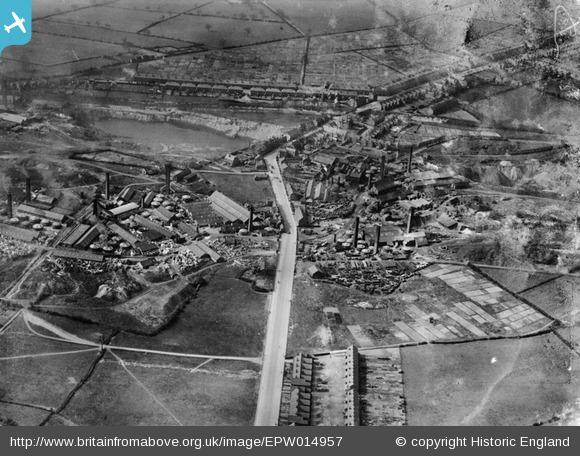 Behind the photographer are the clay pits close to where Croft School was built and Croft Road is in the centre of the photo looking across to Yard's three and four. 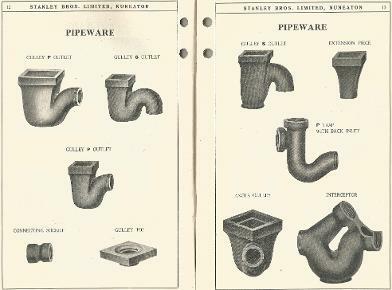 There were all sorts of different piping despatched from yard two, from domestic toilet and bathroom pipes, to industrial size ducts for businesses. They supplied the London County Council with hundreds and thousands of electrical pipes. 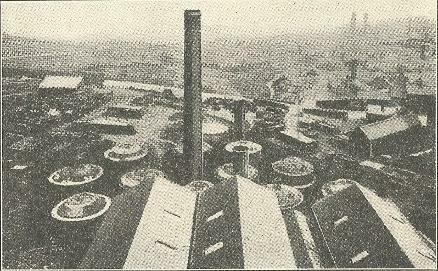 One month during 1908 the boardroom minutes noted a request from the L.C.C to supply them with 250,000 octagonal ducts. It had also been mentioned that they had a contract with the General Post Office and other foreign contacts supplying vast amounts of piping, thus making this yard the most important yard within the company. The pipeware were designed to have a close dense body so they could withstand high amounts of pressure, while the surface is glazed and thoroughly smooth. Some examples can be seen below ranging from simple connecting sockets and gully tops bottom left to an interceptor bottom right, this must have been some weight as well. Yard number three had its own huge clay pit which you can see on the map below creeping off towards where the Raywoods and the Jubilee Field are now. 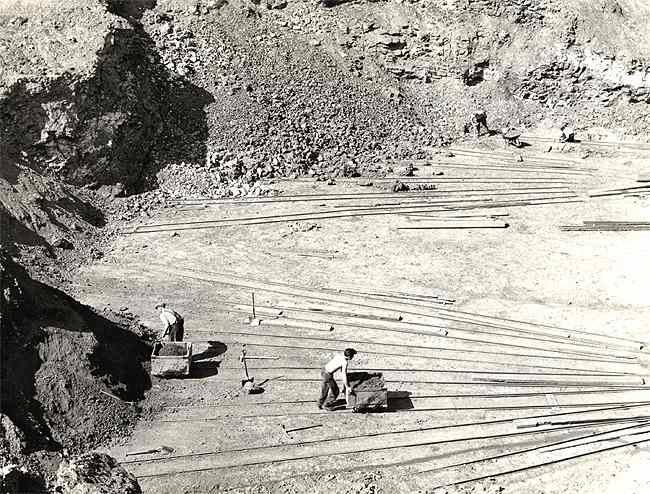 The clay hole was affectionately known as the 'Cloddies' to kids during the 60's. The Cloddies in later years filled with water and became a playground, somewhere to go fishing, swim and generally mess around. 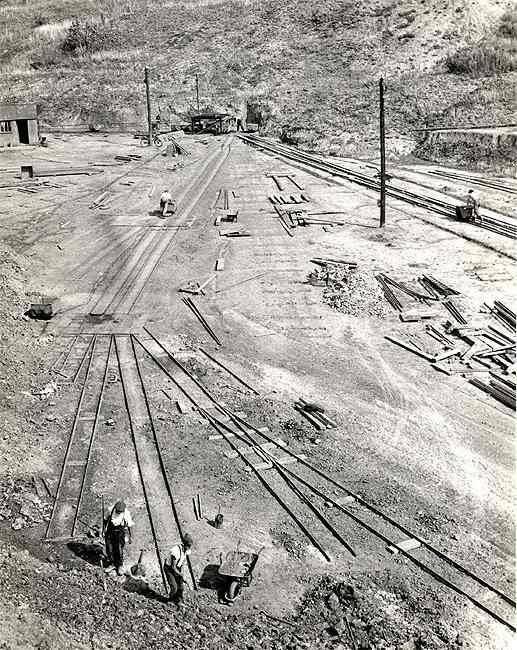 There was smaller clay pits closer to the buildings, all served by a network of tramways to bring the clay back to the surface. On the map below you can also see a clay pit in the bottom left corner this serviced the Griff works which is where Leaward Close and Lingwood park can be found. A map showing the layout of Stanley Bros in the 1920's, its clear to see the vast land that the business covered in the Stockingford area. Yards 1,2,3 and 4 along with its clay pits are either side of Croft Road. Source of map unknown. Semi encaustic paving tiles and patterned quarries were suitable for conservatories, church doorways and hallways. They were really popular in Victorian House entrance halls and along Manor Court Road there are still some superb examples. 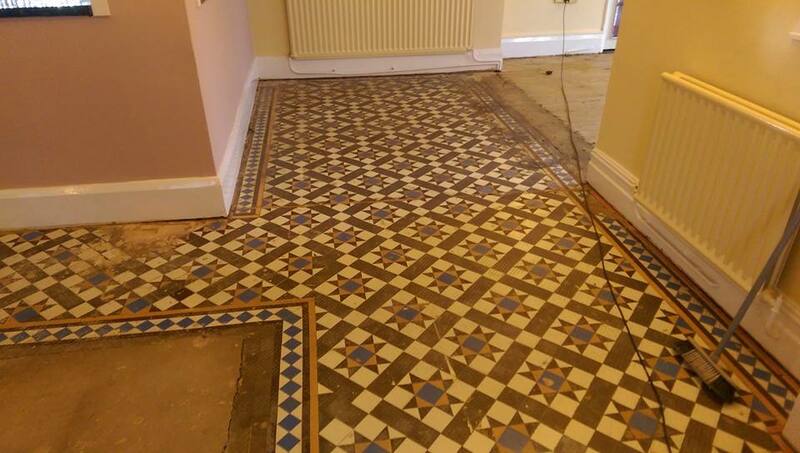 Last year the Abbey Grange Hotel had a re-fit and took up some of the carpets to reveal some superb tiling. These types of tiles are coming back into fashion and you can see why. Some beautiful tiles that where uncovered in the Abbey Grange Hotel in 2015. www.pierresrestaurant.co.uk. No 4 yard on Croft Road kept a top secret recipe behind its closed doors. Who would of thought that a glazed brick could cause such a issue, well it did during the last few months of Reginald's participation in the board room. The Glazed brick recipe was left in the capable hands of Works Foreman's Daniel Blackham Bates and Richard Henry Bates. 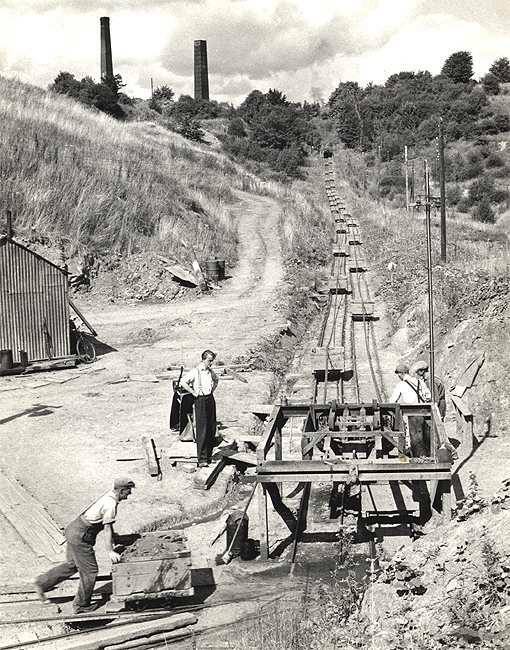 The pair both joined the company in 1901 and signed contracts for a ten year period, giving all their time and experience for the good of the business. They weren't allowed to reveal the recipe to anyone including workers or visitors to the yard under any circumstances. More on the recipe will be added to the Bates Family page in the coming months. Some examples of Sinks and Basin's on the left and on the right any type of glazed brick you can just about think of. It is an established fact that floors laid with these tiles have been used for years without the need for replacing a single tile. 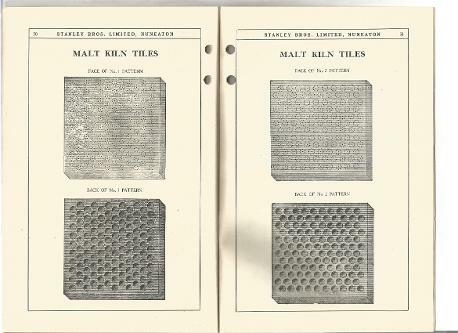 The Tiles are manufactured of carefully selected clay, which is of such character that there is no risk of the malt being scorched. The were available in buff unglazed and brown glazed. The advantage of having them glazed meant that the Maltsters didn't need to water the floor, and it was easier to move the malt baskets around on the smooth surface. 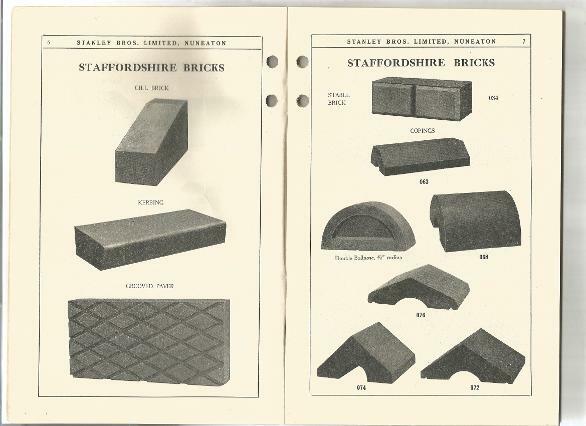 Two more catalogue pages, left #ST24 is pages from a builders merchant magazine, and right #SBC8 still going strong in the 1930's the 'Staffordshire' Bricks. Yard number 5 had just one function and that was to churn out Blue Building and Paving Bricks. It was a relatively new yard in the early 1900's, the company had agreed terms to take clay from the Newdigate Estate in Bermuda (see map below) and it became an important yard for the company. 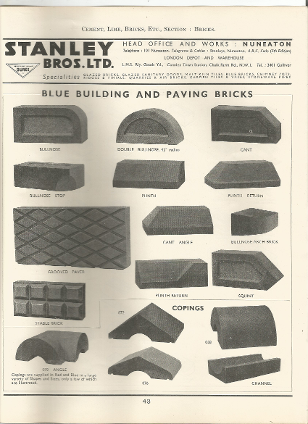 The bricks were 'well known for their excellence of colour, shape and durability', so Reginald and the Company decided they need to registered a trademark on their bricks, to give it a distinct branding of its own. It always raises a smile and a comment when they appear on social media. 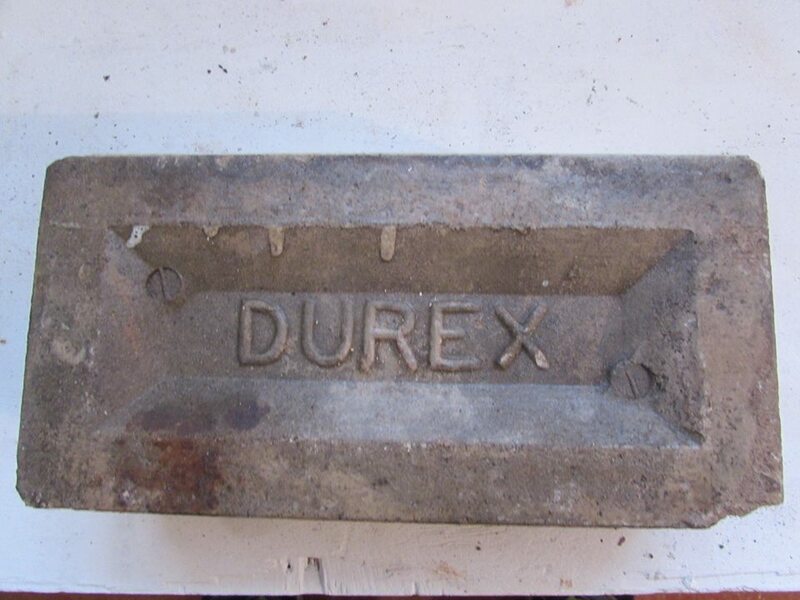 The 'Durex' Brick an explanation for the name isn't 100% sure, however most of the Stanley Bros catalogues, answer it for us. DUR-ability and EX-cellence both mentioned above as a quality of the brick and it makes sense to me. My knowledge of trains is next to nothing, so I have engaged the help of a train enthusiast to help me with some information on these crackers below. The first is Westwood named after a worker who later became a director of the Company. He has a page dedicated to him, use the link here to read about him. Keep your eyes peeled for updates. In 1895 Reginald Stanley decided he needed more capital (was it getting too big for him? ), so the company was incorporated and a prospectus was drawn up. The terms offered were as follows. £10 each, 8000 preference shares and 8000 ordinary shares. 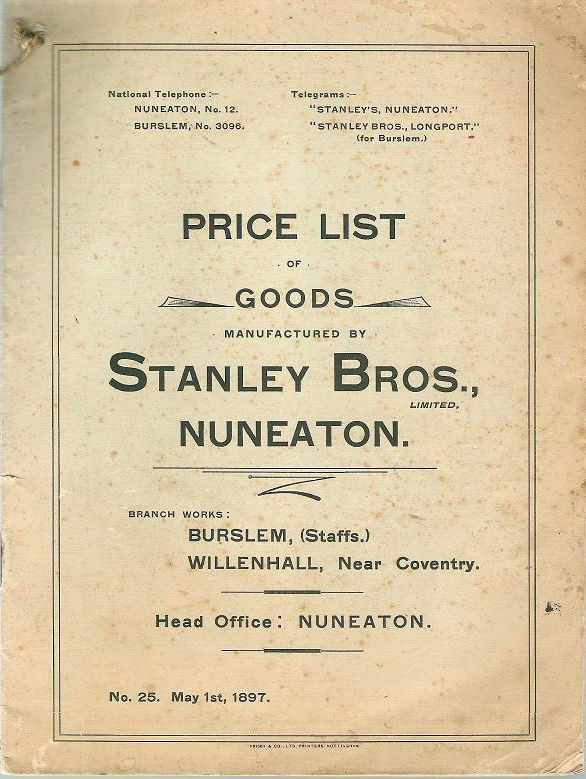 The advert below, from the Nuneaton Observer shows how to purchase your very own bit of Stanley Bros Limited. 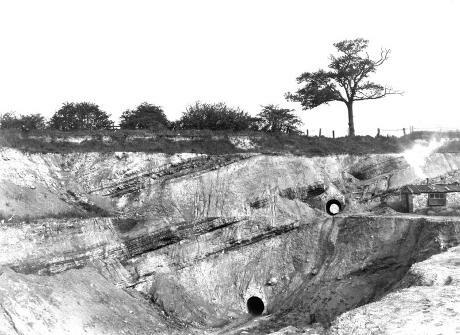 Plans were in motion to invest in a new colliery at Whittleford, as the old colliery minerals leases only had three years left. 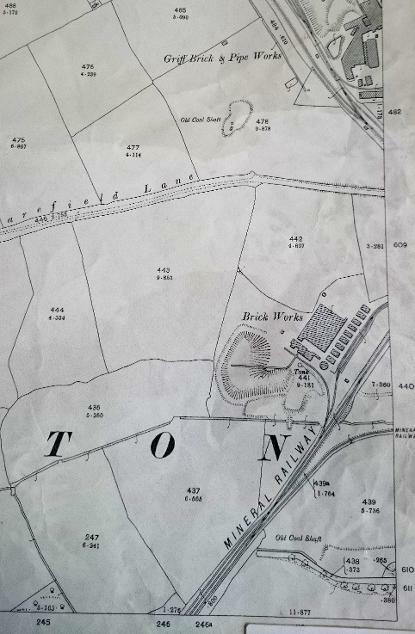 They had proposed to erect a new brick works with fifty six acres of clay leases in Arbury, close to the railway, along with the already established Dale Hall Brick and Tile works in Burslem eighteen months ago. This was the first sign of Reginald needing investment from outside his close network of people. 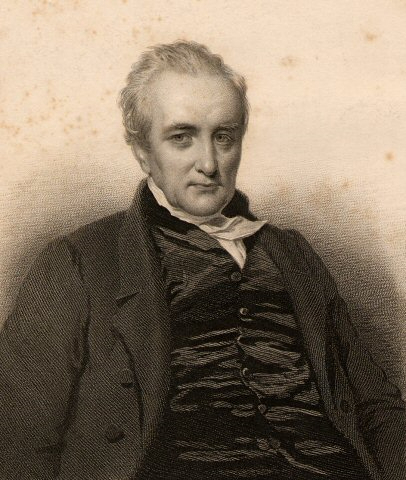 At the time of the issue the Directors were Reginald, Henry Holloway, John Barnsley and Arthur Houghton Rogers. Below shows the Directors in 1902, J.F.Johnson and Henry Murray joined after the floatation, and the secretary was William Westwood (pro tem). 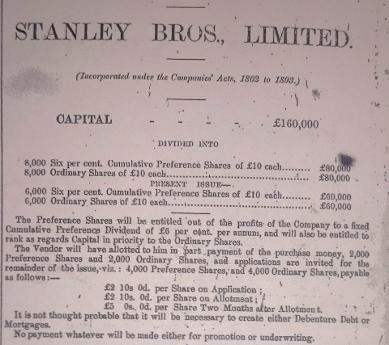 It also mentions the profits Stanley's were making for the past seven years and it was averaged out to £17,000 a year, in today's money its about £1.9 million a year. This was a massive project for Reginald it wasn't just about bringing in new investors, he pumped £30,000 (£3.3 million in 2015) of his own money to develop the new mine in Whittleford (now the Poplar Farm Estate). He was willing to sacrifice his dividend for three years, until the mines were producing 200 tonnes per week. 1. Ancestry.com. England & Wales, National Probate Calendar (Index of Wills and Administrations), 1858-1966, 1973-1995 [database on-line]. Provo, UT, USA: Ancestry.com Operations, Inc., 2010. 2. Ancestry.com. England & Wales, National Probate Calendar (Index of Wills and Administrations), 1858-1966, 1973-1995 [database on-line]. Provo, UT, USA: Ancestry.com Operations, Inc., 2010.